Lisa Moon and the club’s general manager, Kyle Moon, chat with member Pauly (right) while he smokes. Member Matt Pavini smokes marijuana at The Summit Lounge. 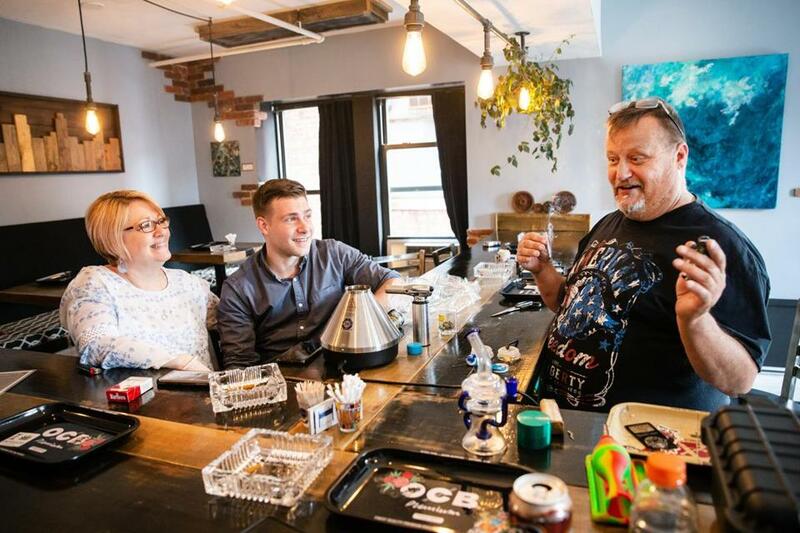 Pot is legal in Massachusetts, but many parents still don’t want their kids to know they partake. Nicole DeFeudis is a Globe correspondent. Send comments to magazine@globe.com.